Have a spare iPhone, iPad or iPod Touch lying around the house? With the help of a free app called Presence by People Power, you can easily turn that device into a free wireless video camera with real-time video and audio streaming. Available on the App Store, Presence is a simple idiot-proof app that you can download for free. Setting up is simple – all you need is an email address and password to register for an account. 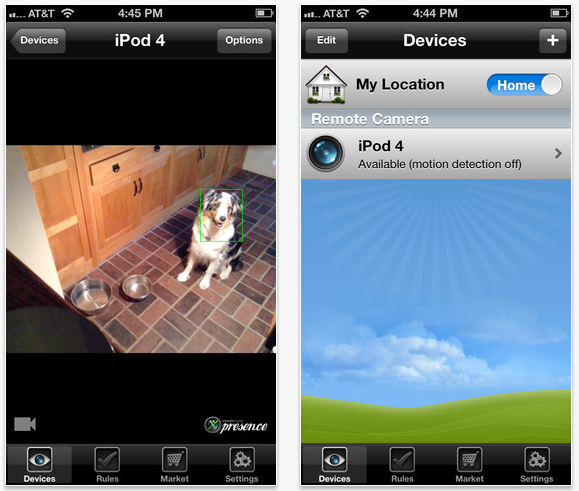 Install it on all the devices you wish to use as a CCTV, turn on the webcam feature, and you can easily monitor all the video live using another iOS device. The app, announce late last month, also offers motion detection that automatically starts recording when it detects a motion and will even email the video clip to users. The app is still in its early stage, all the features are available for use for free though, it’s a bit laggy on my side. It has already reached version 1.0.2 with improved reliability of the camera so hopefully it won’t be too long before the developers can have a perfectly working app to save you hundreds and even thousands of Ringgit on a new CCTV. Visit iTunes for more information or to download the app on your iPhone 3GS and above, 3rd Generation iPod Touch and above, and iPad that are running on iOS 5 or later.